After a few lackluster months in a row, I decided to take a 3 month break from Birchbox and explore other services. I found myself really missing their points system, though - I really like being able to use those points to splurge on items I know I wouldn't otherwise buy. So, I came crawling back to Birchbox. January's box is my first box after my hiatus. January's box is themed around helping 2013 be the best year ever. They included a fold out poster based on this theme this month, as well, which I won't be using, but it's a cute touch. I received four items and a bonus this month. This is the item in my box I'm most excited about. 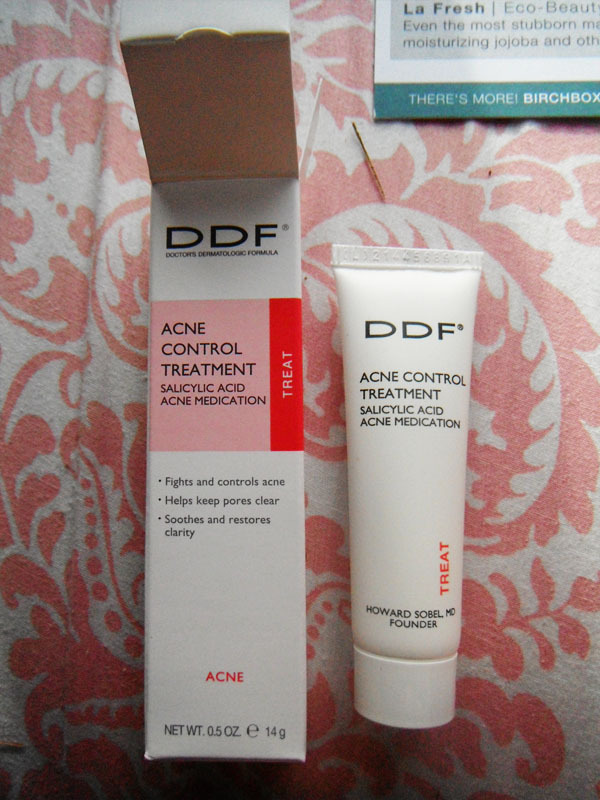 It's an Acne Control Treatment by DDF and it is meant to be used while you sleep. It contains salicylic acid, aloe, and witch hazel. 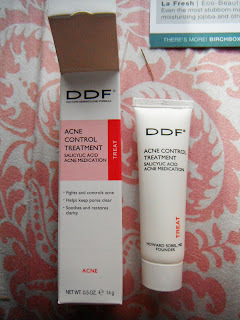 It's a good sample size and I look forward to seeing how it helps my hormonal breakouts. 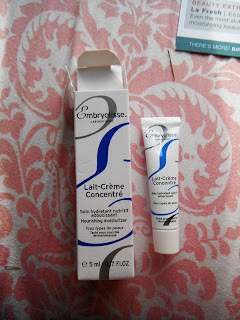 This is 24 Hour Miracle Cream by Embryolisse. 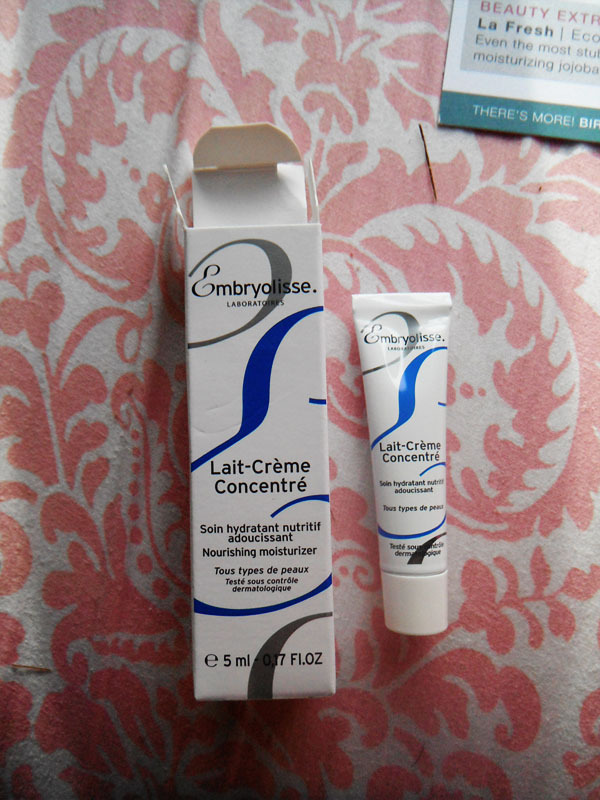 It's a moisturizer that can also be used as a primer. It's a pretty tiny sample, but it's enough to get a few uses out of. I've been curious about this brand, so I'm happy with getting this. This would probably be my favorite sample, BUT I already have the full sized version of this. 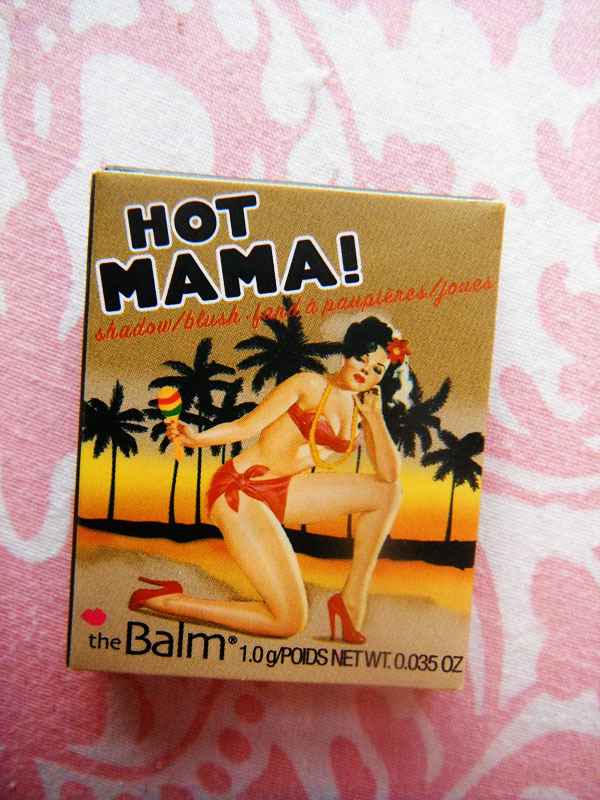 It's Hot Mama by theBalm, and it's actually my all time favorite blush, it's a perfect peachy pink with a golden glow. 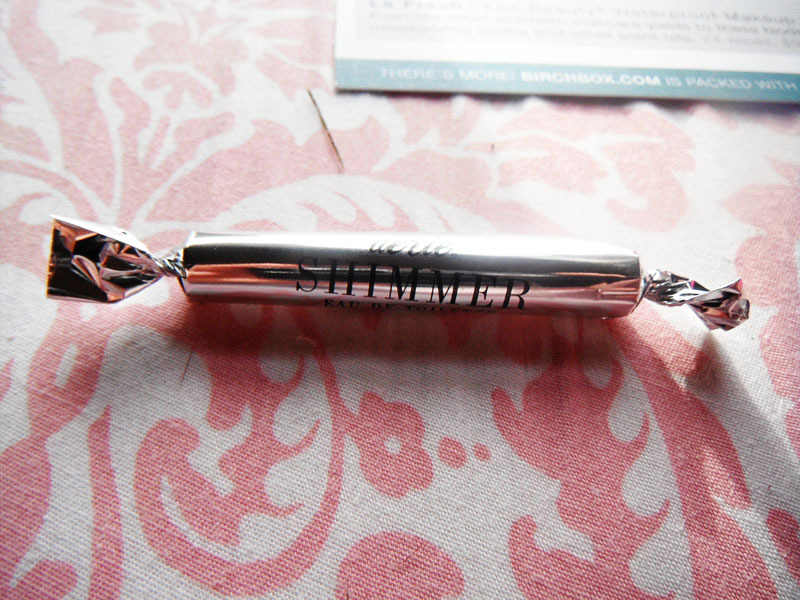 The little sample is a perfect size to keep in my makeup bag. This is Shimmer by Aerie. I like getting perfume samples, and this one sounds nice - a blend of bergamot, peony, and vanilla. I can't smell it right now thanks to an epic cold, but it sounds right up my alley! We'll see. 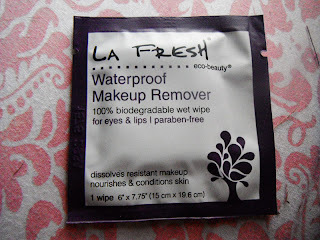 And this was my bonus this month - La Fresh makeup remover wipe. I've used these before and they work well enough. 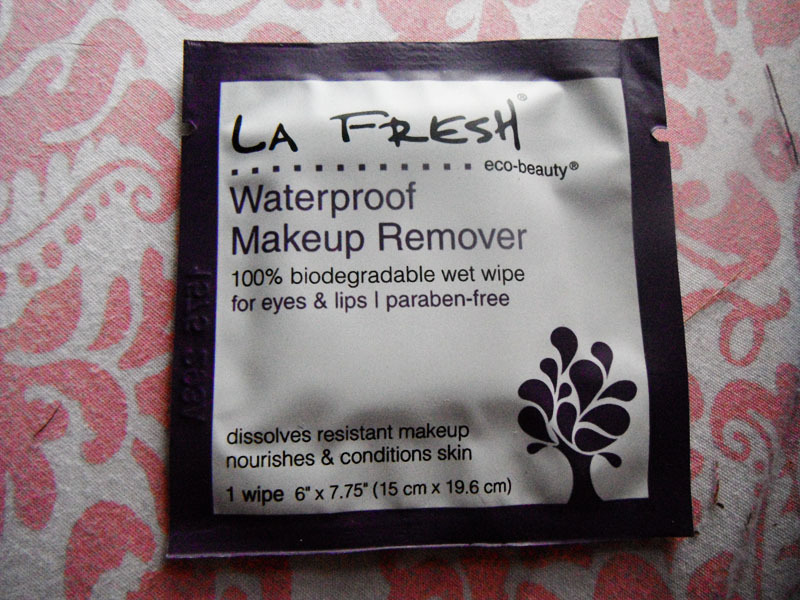 This wipe will be great to throw in my makeup bag. In all, I think this is a decent box. While the samples are so tiny compared to those I have received from other companies, I have found that the points system makes it worth it and this is a selection of products that suits me.